A modern and original feature of a collection of purple and pink wine tone bottles. 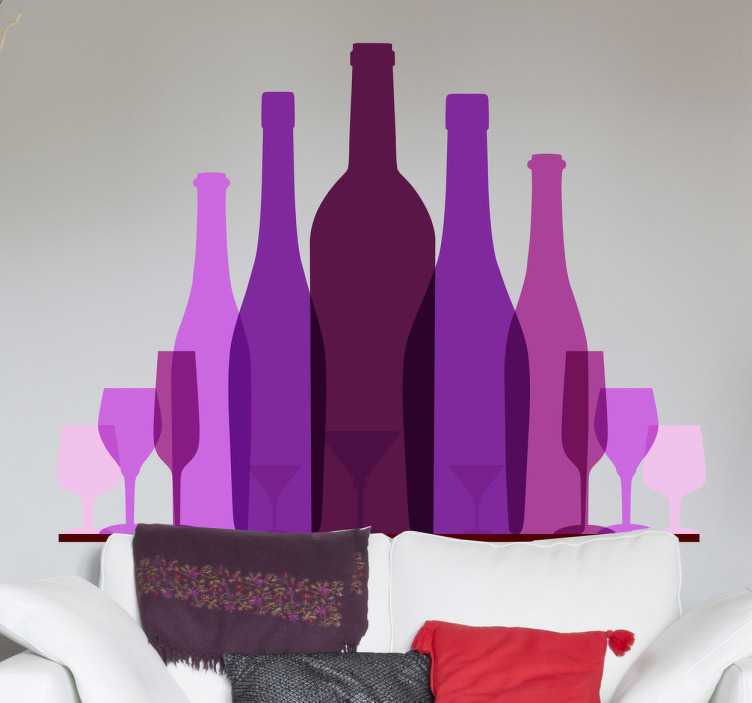 Design from our collection of purple wall stickers. Ideal for adding a splash of colour to any setting. Available in various sizes. Made from high quality anti-bubble vinyl. Easy to apply. Can be applied to any smooth surface, also easily removable when needed leaving no damage or residue. Decals ideal for your home or business. Suitable for cafés, bars and restaurants.